This is an easy narrative that is both invitational and informative. 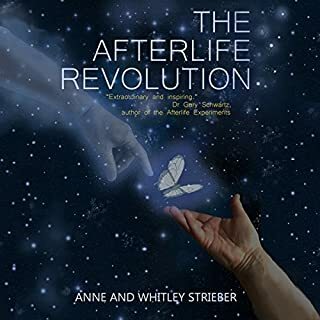 The account of her spiritual journey is interspersed with descriptions of visions and channeled messages from a variety of non-physical voices: angels, star beings, ascended masters, etc. These communications contain verifiable universal and personal messages of love and hope as well as the very nature of our existence. Normally, I prefer to read a book as compared to listen. It’s easier for me to project the author’s voice and persona into their writing giving me the perception of them being with me as I read. So, listening to something of this importance is different for me. This is important to realize because as the listener shares the author’s experience, bits and pieces of the “message” begin to unfold. I’m sure some will not catch this right away while others might. But, by the time you get to the last two chapters, her messengers tie it all together in a deeply meaningful way....at least that’s what happened for me. I had no doubt by that time the messages that were being conveyed were highly meaningful. How could I know that? Because the messages she was receiving were very similar to some that I had received earlier. And, what she was sharing now was filling in some gaps that II had not picked up on earlier. The other part of this writing that has become apparent to me after spending time with the messages is that she is being prepared by her “Guardian Angels” or “Spirit Guides” for something more important that just writing a book. I hope she chooses to share what unfolds in her life with the rest of us as time passes. As for the audible format and it’s quality, again, this is my first time with this kind of presentation of a person’s work. I could tell the narrator wasn’t the author, but the narration was crisp, clear, and easy to understand even with background noise. I have hearing aids, and being able to hear and understand voices without using Bose Noise Canceling headsets in public settings like a library is necessary. I didn’t have to do that in this case. My preference remains the written word, but if this was the only way I could stay in touch with this author’s life, then this is what I would buy. I read this book with much interest because I, too, like the author, am a psychologist. The author’s experiences transcend what most people can understand. It is difficult to put such encounters into neat, tidy boxes, but, as psychologists, that is what we are trained to do. 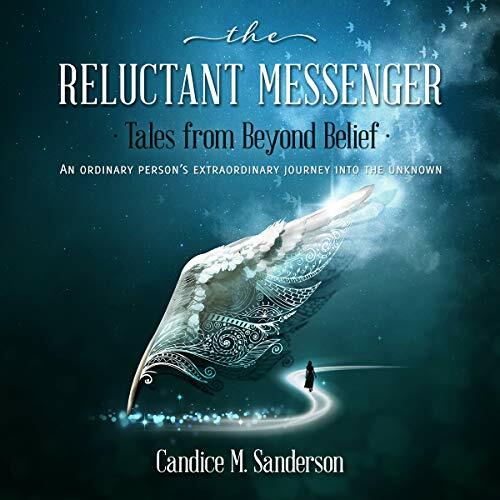 So I applaud Ms. Sanderson for her courage in letting the world take a peek into her journey into the unknown. It took a lot of guts to do so. The author brings hope in times where hope is needed. She brings a message of love in times where a little more love is needed. She brings us encouragement, not only on an individual level but encouragement to all of humanity as a species, and much of the information she received was verified by after-the-fact research. As I finished the book, I had tears running down my face, and I realized that I had been changed by her words. I no longer take for granted that the world around me is only those things that my body can sense. I understand that there are forces at work that I cannot readily comprehend, but that does not mean they do not exist. I highly recommend this book to anyone which a sense of adventure and to those who might just be curious about those forces that operate just below the surface of consciousness. It is a fascinating story. 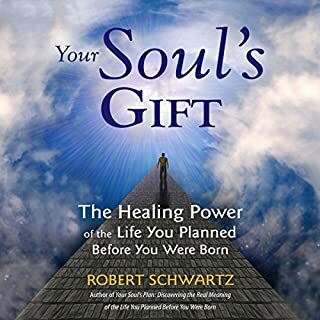 Listening to the book was such a pleasure, and although the narrator is clear and easy to understand, I often found myself going back over some of the material several times because the concepts were so important. This is a book that I am sure I will reread again. There are many other books to be listened to. I would set this aside for another try, and again and again. After today, I realize I can't stand the narration and the iPod says there are over 8.5 hours of this book left. This book is beautiful. Ms Sanderson has done an incredible job relating her divine communications in a way that is both accessible and profound. Well done. 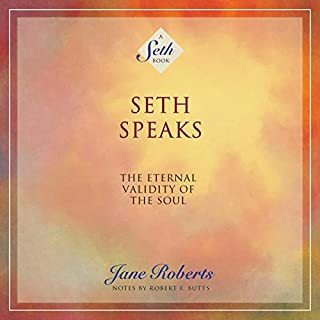 Unfortunately, I had a pretty difficult time with the narrator- her voice is lovely, but the way she articulated and spoke each sentence felt almost robotic and off-putting. I very much appreciate the effort to enunciate, but this felt intensely mechanical and it threatened to give me a headache throughout. I went ahead and finished just because I adored the message so much- but I purchased a paper copy and won’t listen to this version again. This book really makes you rethink everything you know. The narrator is enjoyable to listen to and the book itself is awesome! This book will get you thinking about things you had never questioned before. I would recommend this book to absolutely anyone! Sanderson's story is truly remarkable and will inspire you. 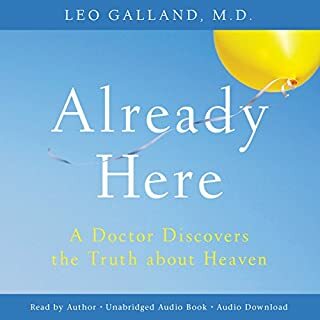 This audiobook is definitely worth a listen! 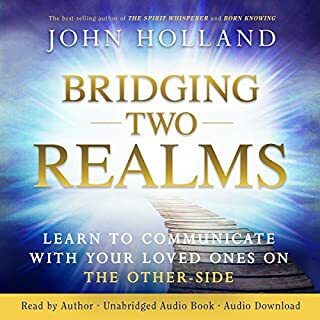 I read the author's paperback version and couldn't wait for this audible version! I wanted to be able to listen to parts of it while sitting quietly with my eyes closed. The author provided answers to questions I had wondered about for years. Don't miss this opportunity to learn more about your universe. I plowed through this book hoping I would find a good reason. I didn’t. The narrator was in an awkward state of awe throughout. Is this read by a robot? I wondered if it was a more advanced version of SIRI narrating it. The story is minute, slow and not greatly relevant to my spiritual advancement. 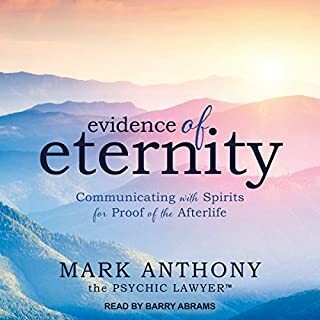 It’s like reading through someone’s spiritual journal, just lots of details you don’t really want to know... perhaps it’s a good book, just horribly narrated. I’m not sure. The information was very enlightening. the narrator drove me nuts. she pauses every two to six words which breaks the flow of the sentences where it loses the meaning of what was being written. I recommend getting a paper copy. It's worth reading. Wonderful book. A journey through what it feels like to receive messages and then take it to the next level, suspend disbelief and believe. About halfway through I felt I wanted more from the book. The reading was well done but we all dont read the same, putting emphasis on the same words and subject. For certain subjects I want to be able to read it, to read out loud and interpret myself. I ordered a print copy of the book; cant wait to feel it while I'm reading it. Very wordy! Nothing is new! Wasted my time! The book is very wordy while the messages are simple. It is a very difficult to swallow book.